Garlic is one ingredient that can add an extraordinary amount of flavor to a lot of recipes. If fresh garlic is not available, then the next best option is to use to use a powder. 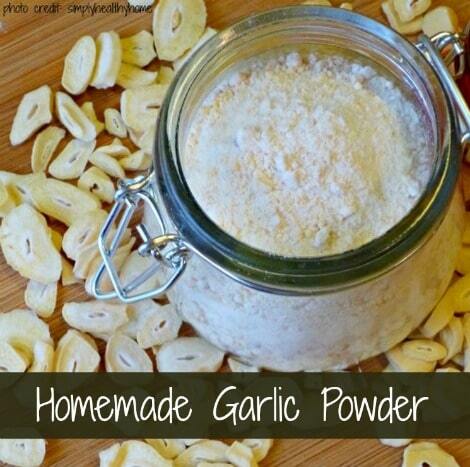 Store bought products are expensive and means that homemade garlic powder is a better option. If you grow garlic at home in your garden, then making homemade garlic powder is a good solution for preservation. You may find that storage might be a challenge if you have a bumper crop. A few items to complete this project will be necessary including a dehydrator and a spice grinder. One important thing to know about homemade garlic powder is there are no preservatives. The powder will need to be kept in your freezer if long-term storage is required. Small mason jars will work the best for the completed product. A plastic container can also be used to store your powder.